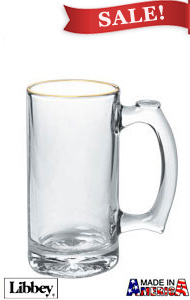 Cheers to this glassware for pulling double duty; holds your beer and is sports related at the same time! These drinking glasses will loosen up any occasion and add another dimension to throwing back a few brews with your buds. Ideal bar glasses for celebrating at any event like festivals, parties, or even new years. 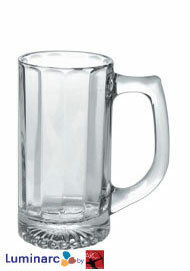 Our 13 oz Sports Beer Mugs are generously sized and hold a decent amount of your beverage of choice. 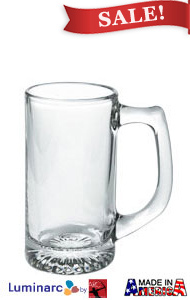 Our beer steins are manufactured by top-notch companies; Luminarc and Libbey. Don't miss out on getting factory direct glassware at low prices!